Closest thing to a worm hole. This was fascinating. We were at the park today. 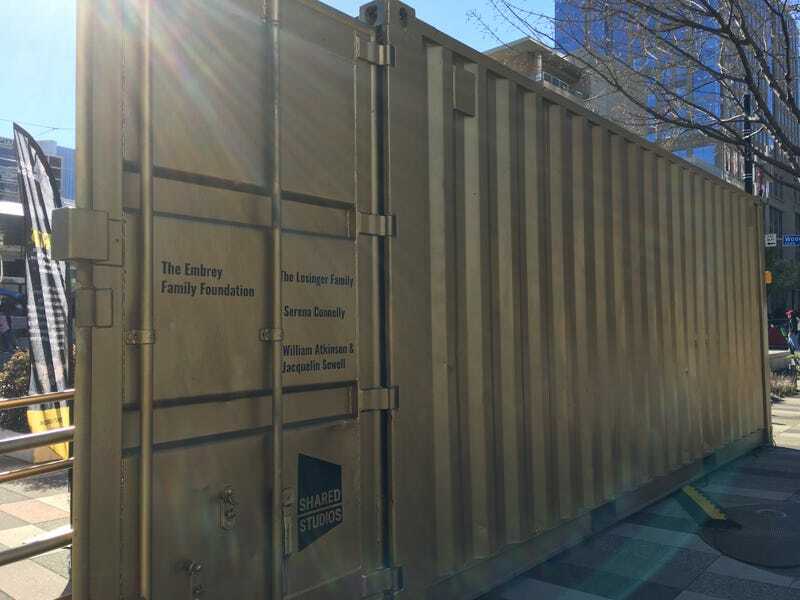 You go into this container, and inside is a bare lounge with the entire back wall a screen. That screen is a live feed of an identical container lounge in Mexico City with people wandering in from their city park. The idea is you can sit and talk with people from another part of the world as if everyone is there together. The tech is hardly groundbreaking, but the concept is really cool, and the implementation was well done.